Ranunculus is quite the rage right now. They are an interesting and elegant flower that are quite captivating when used in modern design, which this bouquet does wonderfully. 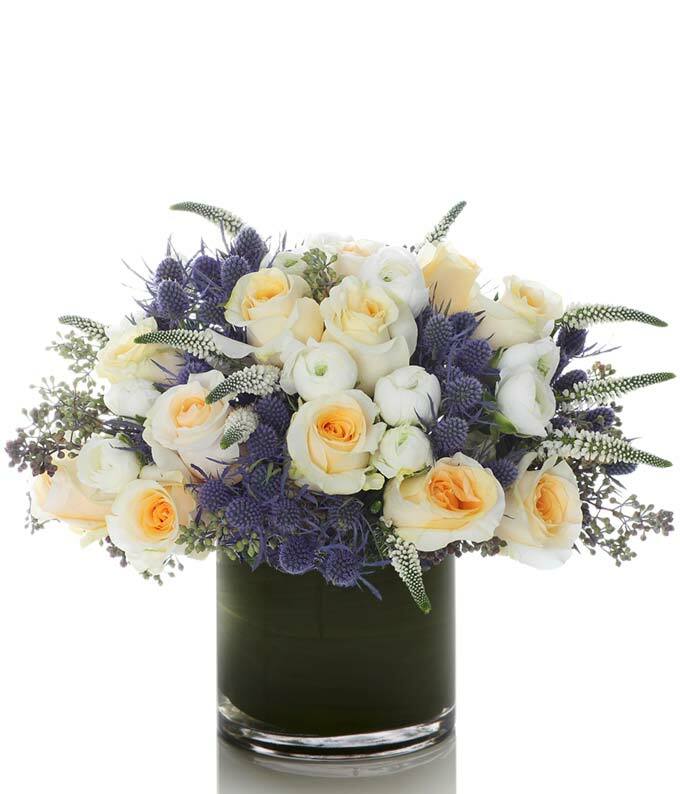 A modern mixed arrangement of blue thistle, vendella roses and white ranunculus are combined with seeded eucalyptus and white astible for stunning effect.